Claire Summers is a determined, independent single mother who is doing her best to make lemonade out of the lemons life has handed her. Keith Watson is a results-oriented workaholic with no time for a social life. As the executive assistant to a local philanthropic businessman, he’s used to fielding requests for donations. But when a letter from Claire’s eleven-year-old daughter reaches his desk, everything changes. The girl isn’t asking for money, but for help finding the long-lost son of an elderly neighbor. As Keith digs reluctantly into this complicated assignment, he has no idea how intertwined his life and Claire’s will become–nor how one little girl’s kindhearted request will touch so many lives and reap so many blessings. 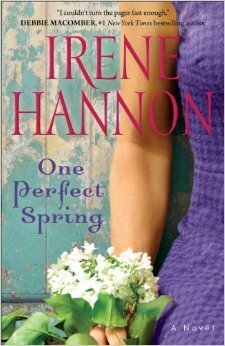 Irene Hannon is a terrific author, I have loved everything I have read by her. This book is fictional romance, not suspense like the other books by her I have read. I really enjoyed the characters in this book and the story lines with each character. The main story is about an older woman who gave her son up for adoption and wants to know where he is now. There in steps a kind man who has a heart for others and a sweet eleven year old girl who I adored. Hannon takes the reader on this journey about finding your love and what's really important in life. This story hit close to home with trying to find a parent (the main male character is looking for his mom as well) and I think it was well written. Though not as good as her suspense, Hannon has written another winner!